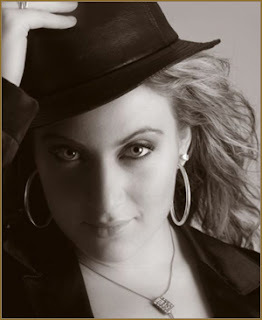 THE SCHLAGER SYSTEMS: Sarah Dawn Finer - The Schlager Systems Interview! 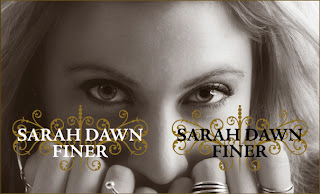 Sarah Dawn Finer - The Schlager Systems Interview! Without a doubt one of the best songs from this year's Melodifestivalen was Sarah Dawn Finer's 'I remember Love'. Sarah has very kindly agreed to answer some questions for us here at the Schlager Systems. Kethan asks the questions. K - What are your first memories when growing up in Sweden? S - Oh, I have so many memories. My father is from London and my mother from New York and me and my siblings grew up in sort of a commune. With people from everywhere and so it wasn´t a "typical" Swedish upbringing. But once I started music school and so on, I more and more grew a custom to Swedish people and the way of living, not to mention the swedish music. K - When did you realize that you had a talent for singing and songwriting! S - Singing came early, I can´t remember the moment, just that music played a big part in my upbringig, everthing from classical on my fathers side, to blues, soul and rock on my mothers. We were always singing, At every family gathering and in childrens musicals and talent shows. Songwriting I fiddled around with in my youth for fun, and the first song I remember writing was "The Other Woman" - I was 11. But since I worked and hung out with such talented songwriters I was intimedated to play any of my songs to people. I started writing for real in 2003. K - Who were you singing Idols when growing up? S - I never just had one. But many - from Stevie Wonder, Tracy Chapman, to Whitney Houston, Prince, and then later Donny Hathaway, Eva Cassidy and many more. K - What inspired you to write “I remember Love”? S - My first love. Since I always - at east until now - always draw from personal experiences while writing. We all remember our first love. Innocent, real, naive - before we knew love could hurt. K - What did you think of the ARK winning Melodifestivalen? S - I think they are a great band, and have always been. It was a big deal that they even decided to enter the competition. And I do think that they were a good artist to send to Europe, but most importantly, the were great winners in and for Sweden. K - What did you think of the Eurovision song contest? S - Unfourtunately, even just by looking at this years competition, the rest of Europe aren´t really making such a big deal of the ESC in their own finals, and so the big pop countries like England, France etc aren´t really taking it seriously. It´s a big deal in Sweden. Bigger than anywhere else. And I do think there should be a jury as well as people voting. And as it is now - there are to many countries in the finals. K - What were your favorite songs in the competition? S - I liked the song than won the ESC. And Germany. As well the Swedish song. K - Do you think that western European countries should have there own competitionn since the eastern block have taken over? S - No, then it would only get worse. But put in a jury, that has 50% of the power. As well as letting everyone go through a semifinal - though not live - let Europe vote on Each countries winning song on video - and then a live final. K - Do you have any plans to tour and visit the UK, we would love to see you here!!!!!!!! S - I would LOOOOVE to come. I will fight long and hard to get my music heard outside of Sweden. But it´s hard. I would love to come over to the UK for work, I have been there alot over the years and love the music scene. K -What are your plans for the future regarding you music? S -Start writing on another album while palnning a tour with this one, and hopefully a non swedsih release. It is currently no 2 on the album charts over here, so I hope it goes well, and I will get to continue with my career for a long long time. All over the world. K - Would you partake in next year’s Melodifestivalen? S - No plans for that as it is now, Hard to top this years experience and the song that is such a hit over here. So I think I will wait, If I get the urge again, I´ll send in another song. K - Have you ever been to our native Scotland? S - No, not yet. I have understood that it is beautiful, But I would love to go. Only been to London 20-30 times. K - Tack Så mycket Sarah!